It's back to school time at GWU$20, so life is more than usually hectic as I settle into the new routines and rhythms of the semester. During transitional moments such as these, it's wise to remember to keep it simple and keep it light--otherwise the stress can get to you. So that's my theme for this week's blog posts. When it comes to wine, keeping it simple doesn't mean settling for a bland or boring example of a particular grape. But it does mean not spending much money, not worrying about whether this is the best "X" you've ever tasted, and not trying to impress your friends and family with something staggeringly complex and deserving of three hours of wine geek conversation. Keeping it simple means getting a good bottle, for a good price, and having a good time while you drink it. 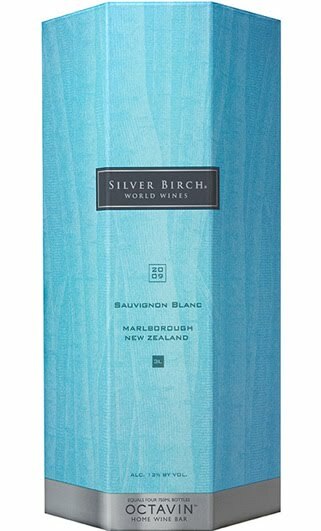 Cabernet Sauvignon may seem like the wrong option if you're needing to keep things simple, but this bottle just may change your mind. The 2008 McWilliam's Cabernet Sauvignon Hanwood Estate is made with grapes from South Eastern Australia. (suggested retail, $11; available for under $10 in many markets) This is a very nice Cabernet Sauvignon for the price--and it actually tastes like Cabernet, rather than just "red wine." It has a characteristic aroma and flavor profile: red currants, blackberries, and white pepper. I detected a hint of something more like green pepper when it was first opened--which I happen to enjoy--but this note mellowed out very quickly. Very good QPR for a bottle that will remind you how good Cabernet can be when the maker doesn't out-think the test question and is content to let the juice shine. The wine has smooth tannins, making it a good pairing for grilled meats yet it still stands up to something like eggplant that can overwhelm a lesser wine. Try this with this zesty pasta dish with grilled marinated eggplant, if you are looking for a satisfying vegetarian option to pair with Cabernet Sauvignon or similarly tannic grapes. Because of my special niche in the world of wine reviews, there are times when I have to deliberately uncork a bottle of wine that is MORE than $20. It usually happens when I've sipped 15 terrible/insipid/manufactured iterations of grape X and can no longer remember what the hell it's supposed to taste like. This recently happened with Syrah. I love Syrah. It is arguably my preferred red grape, and appears in my favorite red blends from the Rhone. Bad Syrah, however, is nasty. As in cough syrup nasty. And after a dozen bottles of nasty, I just swear off the stuff for a while because it hurts my heart to see people treat grapes--especially grapes from the Rhone--badly. I was touting up what I'd tasted so far this year and realized I'd only found four bottles of Syrah that were remotely drinkable. 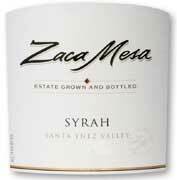 So I plucked out a bottle I was pretty sure would deliver a reminder of how stunning Syrah can be: the 2006 Zaca Mesa Syrah from the Santa Ynez Valley. 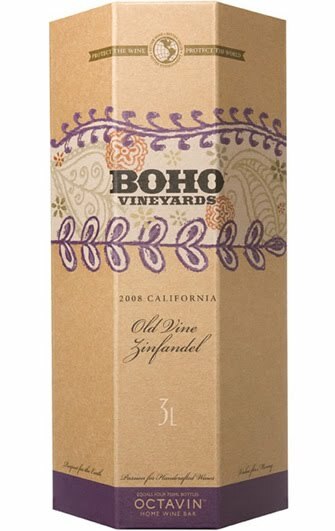 (suggested retail $23; available for $15-23) This is not a gentle Syrah, but a big, rich, in-your-face, mouth-coating wine that is a total steal for the price, delivers excellent QPR, and drinks like a wine that costs twice or three times what you will have paid for it. My only caveat about this wine is this: do not even think about having a glass of it and trying to walk in a straight line. The label says 15% alc./vol. and I believe it--and then some. In the taste department, expect exotic aromas of summery flowers and plums, with a bit of clove around the edges. There are more plum and clove notes in the flavors, along with allspice and mocha. There's a nifty mocha jolt in the aftertaste, too. Very good, nicely made, and a reminder of what Syrah can be all about. Most people reach for Cabernet when they're making steak, but I love Syrah with cuts like skirt steak that have been marinated for a long time and then popped on the grill. We paired this bottle with a skirt steak marinated in orange and ale and the spicy, coffee, and clove notes in the Syrah were just lovely with the citrus in the marinade. And the robust wine handled the beef nicely. I love rosés. 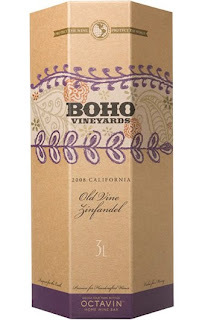 They are affordable, food-friendly wines as I've said on many occasions. At home at summer barbeques, and welcome on Thanksgiving tables, there are lots of times when a rosé is the right wine choice. So I'm always surprised when people tell me they don't do rosé. Huh? I know--just know--that they're thinking of some horribly sweet White Zinfandel ca. 1987, rather than a crisp, dry wine like the one I'm recommending here. It is, hands down, the best rosé I've ever tasted. And I've been tasting some awfully good rosés lately. But there's something special about this wine, so if you can find it give it a try and see if it doesn't impress you, too. 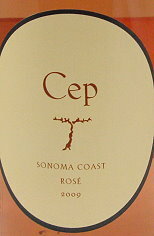 The 2009 Cep Vineyards Sonoma Coast Rosé is made from Pinot Noir grapes grown in my favorite of all viticultural regions. It is, quite simply, perfect. ($19.49 in my local independent grocery store; available elsewhere for $17-$20) Like the picture shows, it is a true, pale salmon. Lovely, rich aromas of warm strawberry rise up from the glass along with something stonier that reminds me of a wet beach and a touch of baked earth. The flavors are pure strawberry, too, with little mineral inflections along the way. The wine is very dry, yet it retains a juicy aftertaste. Excellent QPR for a rosé that delivers rich, full flavor without a drop of sweetness. And don't blame me if you are looking for this in November and it's sold out. Buy some now--before I buy all the bottles left at K&L. Over the next few weeks, most of us will be saying goodbye to summer. Labor Day marks the official end for many, but some of us (me) are headed back into the classroom long before that. Many are getting their kids ready for school. Take an opportunity before summer's warmth fades and the hectic back to school rush starts with a glass of sparkling wine. Even better, share it with somebody you love--or several somebodies. Invite friends over, chill a bottle of bubbles, and sit back and enjoy the long twilight. If you're looking for a perfectly lighthearted, eminently enjoyable bottle, try the NV Gloria Ferrer Va de Vi Ultra Cuvée ($20.99 in my local independent grocery store; available for $14-$25). This pleasant domestic sparkler has a warm, pale yellow color. That soft, warm appearance is as summery as a sparkler gets, and a good indication of the gentle wine within. The wine is nicely frothy, and the bubbles are relatively fine which provides a smooth drinking experience. I detected aromas of pear and lemon, and these summery smells were echoed in the flavors along with some rich cherry notes and a hint of warm bread. This wine is technically "extra-dry" which means it is not quite as dry as a brut sparkling wine, and is made predominantly from Pinot Noir grapes with some Chardonnay and a touch of Muscat. I think it would be perfect for toasting the season with friends, and pairing with hors d'oeuvres and spicy or fried foods. Very good QPR. Time for a roundup of Rieslings to put some zip into your summer. When July turns into August, I always start hankering for some boiled spicy shrimp or a garlic and lemon marinated chicken to break up the BBQ sauce, hot dogs, and steaks that many of us have been indulging in since Memorial Day. If this is how you are feeling, there's nothing better to pair with these lively, vibrant summer alternatives than Riesling. And Australian Rieslings seem ideally suited to the warm temperatures and outdoor dining that dominate this part of the year. 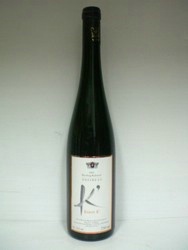 The 2008 Plantagenet Riesling is a very dry wine with aromas of petrol, lemon pith, and apple peel. (suggested retail $20; available for $13-$21) The flavors are a bit rounder--more like Granny Smith apples and litchi--but they remain dry. Excellent with seafood. Very good QPR, for this classically tasty wine. Despite its name, 2009 Frisk Riesling "Prickly" isn't prickly at all. (suggested retail $10; available for $9-$13) Instead, it's a simple Riesling with a touch of spritz and lively, slightly sweet apple flavors. Far less dry than either of the bottles here, this would be a good pick for sipping on the back patio with some hors d'oeuvres or for pairing with very spicy food. Very good QPR. With the 2008 d'Arenberg Riesling The Dry Dam we're back to a wine that is dry and elegant, with similar petroleum and green apple aromas. (suggested retail $16; available from $9-$18)The flavors are dominated by green apple this time, and more petroleum sneaks in to the aftertaste. Nice for the price, and widely available. Very good QPR.